What’s For Dinner Doc is 1 Year Old – What's for dinner, Doc? What’s For Dinner Doc is one year old today. I started my blog as a place to talk about women’s health but it has evolved into so much more than I could have envisioned. Looking back, I have come to realize that a blog writes itself. It finds it’s voice and it takes you, the author, along for the ride. My posts have been shaped by current events, new research, food trends and my daily experiences as a physician. I have ventured from my kitchen table into photography, humor and flash fiction. I’ve shared my deepest thoughts about human suffering and medical education with you and we have shared a few laughs along the way. I am sincerely grateful for everyone who took the time to stop by this little eclectic blog. I don’t know where my blog will take me in 2015 but you are welcome to come along for the ride. Your sharing and commenting means the world to me. Thank you. 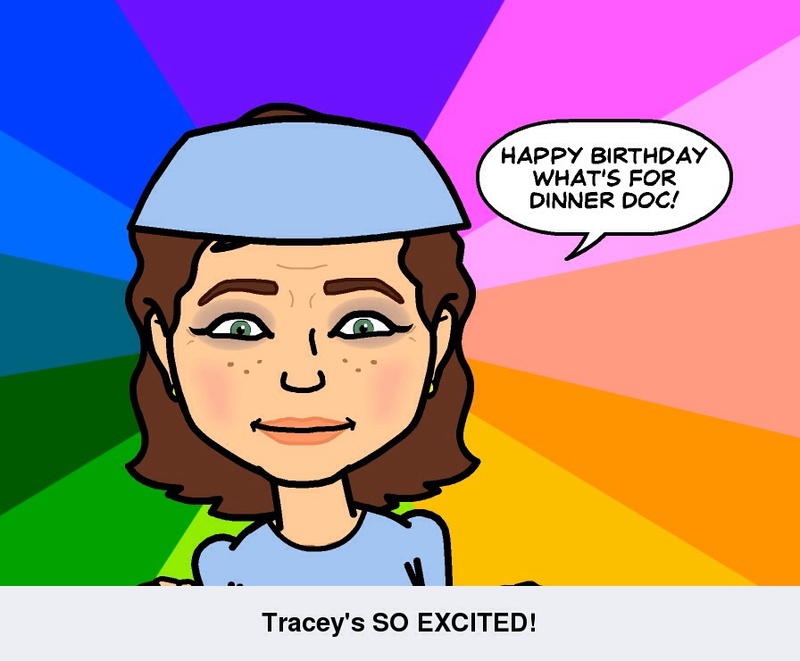 Happy Birthday What’s for Dinner! I always enjoy the wit and wisdom. Thank you for you good words. Thanks Blain. I’m getting excited about sailing in Alaska with you in July. Congratulations on the one year anniversary!! I really enjoy your recipes, advise and very informative posts. Look forward to another year with you. Thank you Suzanne. Your faithful comments make my day whether I post about food or medicine or food as medicine – I know you’re reading. And I learn something about food every time I read your blog. Thanks Nandini. You are always around to like my posts. I notice and I appreciate it. Thanks Beth Ann. I always enjoy your posts.